One tea club with a choice of 29 blends. Will you stick or twist? Welcome to the Twist Tea Club, a friendly and flexible monthly tea subscription where you can choose to receive any one of the 29 blends. To start, we send you one of two free Tasting Menu 12 different blends, as well as our recommended blend for that month. You can choose from Whole Leaf or Fruit & Herbal. After which, you'll continue to receive a different recommended blend each month for a fixed £5 a month. But will you stick or twist? You can stick to our recommendations (see menus below) or you can twist and change which blend you receive each month, at no extra cost. You simply login to your account and choose any one of our 29 blends for the month you'd like to receive it. People keep telling us their cupboards are full of boxes of tea they've bought and don’t like. This puts them off trying new brands of tea and different blends so by sending you a free Tasting Menu of 12 different blends to try first, this gives you an informed decision as to whether you stick or twist! Signing up to our Tea Club takes 3 simple steps; head to our Tea Club shop, choose your free tasting menu and which format you would like. Easy! You choose the blend you want - not us. Unless you want us to! Change which blend you get each month, or opt out for a month as often as you like. Which Tasting Menu would you like? We've put together two menus of our recommended blends to start you off but feel free to twist! It started with a kiss... Sri Lankan and Chinese Black Tea, with the tartness of raspberry, the fragrance of rose petals and a subtle hint of hot chocolate. Torn between coffee, tea, hot chocolate or peppermint? No probles - this delicious brew blends together the lot! It's the Swiss Army Knife of brews. 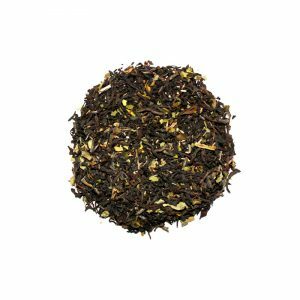 We've taken our popular Earl Great and given it more oomph by increasing the amount of high-grown Sri Lankan tea in each cup. 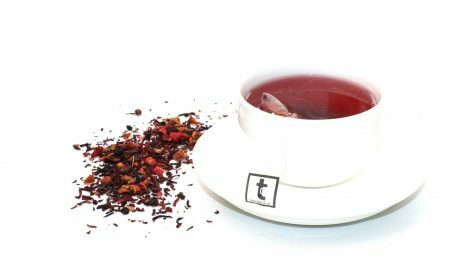 This wonderful blend of strawberry, rose, hibiscus and more on a bed of Chinese white tea is something really special. This light and refreshing green tea contains ginko biloba, gotu kola and Siberian ginseng, said to create a natural lift. Above all, it tastes great. This light, delicate Ceylon black tea is scented with bergamot and hints of orange blossom, with a clever secret to elevate it from Grey to Great. For centuries, peppermint has been said to aid digestion. This Puds Without Sin is the perfect end to a meal - at any time of the day. The finest whole leaf Indian Assam and Kenyan black teas, carefully cut to product a strong tea in just two minutes. Our go-to blend at anytime of the day. This light-bodied blend of Ceylon and Darjeeling black teas is perfect for drinking throughout the day, with or without milk, particularly when you need an energy boost. Tea. And Christmas. It doesn't get much better than that. Wrap up, snuggle in and enjoy a mouth-waterig brew that tastes half tea, half Christmas cake. Delicious! 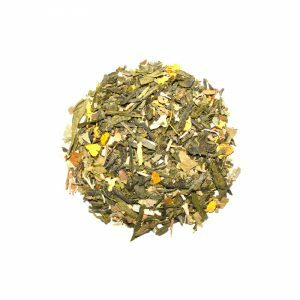 This full bodied breakfast blend of Assam and Ceylon teas has added ginseng for enhanced mental performance and yerba mate for a caffeine hit. A caffeine-free blend of rooibos and banana loveliness with no added sugar or artificial sweeteners, shake it up with this creamy Pud Without Sin. A caffeine-free blend of rooibos and mint with no added sugar or artificial sweeteners, this Pud Without Sin is a simple guilt-free pleasure. For centuries, peppermint has been said to aid digestion. Our pure, unadulterated whole leaf peppermint creates a delicious, soothing and refreshing brew. Made with the juiciest fruit and whole berries, this Cold Brew is a mouth-wateringly good, caffeine-free drink with no added sugar or artificial sweeteners. This pale pink Cold Brew is caffeine-free with no added sugar or artificial sweeteners, blended to taste great whether hot or cold. In this delicate blend, we've combined tropical ingredients with the blue pea flower to create a blue Cold Brew that both looks and tastes incredible. Fancy a peppermint tea with a little something extra? This blend has added cocoa to give it - and you - a lift, without resorting to sugary treats. Floral and fruity, naturally sweet and great hot or cold, this delicious infusion is an English summer garden in a cup. Without the rain. This wonderfully warming Pud Without Sin is a well-balanced blend of ginger root and cinnamon, with a hint of liquorice. This soothing blend of whole chamomile flower heads, lemon balm and rose also contains lavender and valerian, which is believed to aid sleep. Christmas in a cup, this delicious brew combines the flavour of festive fruit with the heat of cloves. So evocative of Christmas. A pale pink cup of zingy citrus and apple. This Pud Without Sin is naturally caffeine-free with no added sugar or artificial sweeteners. Mint Humbug is sensational and I can't wait for their Cold Brews! I always look forward to my next month's Twist Tea delivery. Passionfruit & Rose is divine! 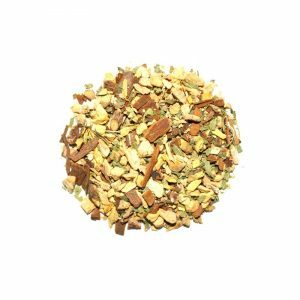 I'm literally dying over how much flavour there is in your Mint Humbug blend! Let Twist deliver oodles of happiness to someone you know! Head to our Tea Club Gifts to buy your friend 3, 6 or 12 month subscriptions.